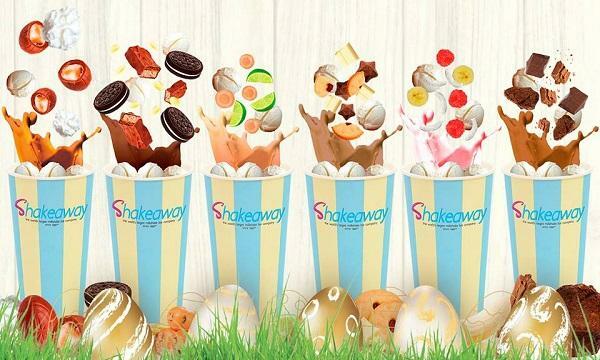 Shakeaway is commemorating Easter with limited edition shakes. Available in all Shakeaway stores, the range includes six new shakes with different flavours and toppings. The new shakes include flavours like creme eggs, whipped cream, chocolate muffin, Mars blended with oreo cookie, jammie dodger, and milkybar. There are also healthy options, made with carrot and lime blended with chia seeds on 100% fat free frozen yoghurt base, or banana and raspberries topped with coconut shavings.